Jozef Pracko was born in Czechoslovakia. Due to the communist structure inflicted by neighboring Russia, Czechoslovakia was characterized by the absence of social classes, money, and personal growth or freedom with the ideology to establish social order. Jozef and his wife, Milada, wanted more out of life for themselves and their growing family. Jozef had studied and excelled at mechanical engineering and held the highest position he could achieve without joining the Communist Party that he did not give credence to. At the age of 39, in 1979, he escaped from Czechoslovakia with his family in search for an opportunity for prosperity and success. After making it across the border, they lived in a refugee camp in Italy for six months where he took any job that he could find which happened to be a brick layer. He found an organization that sponsored refugees to help them seek a better life and was given the opportunity to come to the United States of America. With only his aspirations and ambition in mind he strived for fullfilling the American dream to provide for his family in a way that he could never have before. Beginning in 1984, Jozef Pracko, starting designing and manufacturing his first fusing machine in his own garage. It eventually sold to Fisher Price, and that was the beginning of it all. 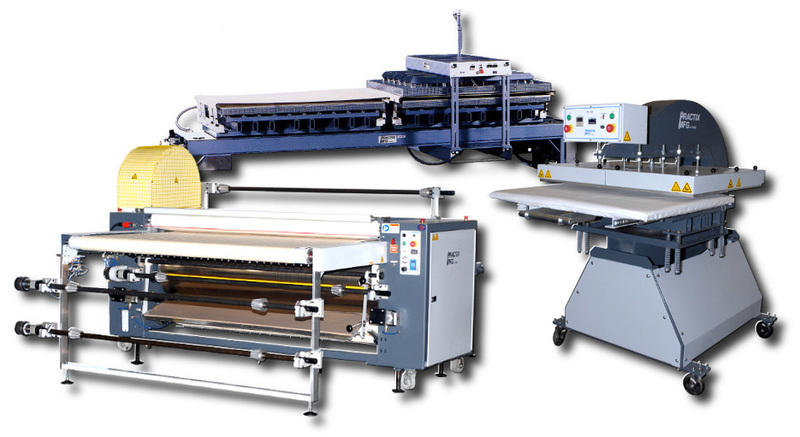 After many years of hard work, sacrifice, and dedication Jozef, Milada, children (Roman, Robert and Zuzana) and employees have made Practix what it is today….. a machine manufacturer with 30 years of experience producing heat transfer, dye sublimation, laminating and fusing machines. Now with over 30 employees, a 40,000 square foot factory and customers worldwide his dream has been achieved and surpassed. Practix is a top industry leader in technical expertise offering high quality innovative engineered design for superior output. The company utilizes the knowledge and experience obtained through years of involvement and puts it into research & development and design. We integrate all aspects of the manufacturing process from fabrication, machining, welding, painting, assembly, quality control and testing. No outsourcing! Everything is completed in house in our USA plant to allow for supreme quality control every step of the way.